Your end of year to-do list is already overflowing. 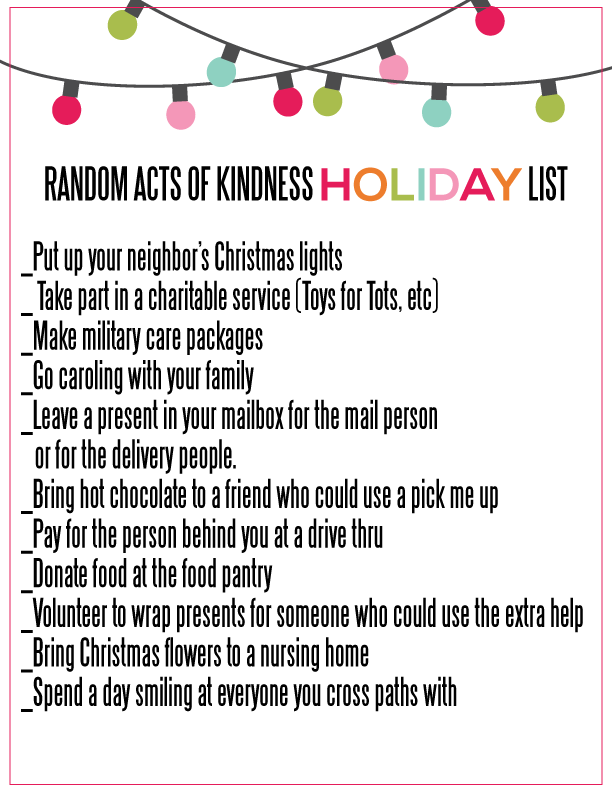 You have to prepare and send holiday cards, put up lights, get the holiday-themed lawn ornaments up, make cookies for neighbors, prepare the guest bedroom for family, hide the elf, buy gifts, wrap gifts, mail gifts, and possibly then tackle any or all of the items on this list. Your list is full – if not overflowing. And I’m going to add one more item to consider adding to it: purchase Series I Bonds before year end. One of our jobs as financial planners is to remove as many of the useful or necessary year-end financial activities from our clients’ lives as possible. It involves activities like assessing the value of Roth conversions and executing as appropriate, completing required minimum distributions or qualified charitable distributions, evaluating the utility of accelerated donor advised fund gifts, evaluating Medicare Part D renewals and open enrollment options, tax loss or tax gain harvesting, and accelerating income or deductions to qualify for items such as insurance subsidies, 199A deductions, or reduced Medicare premiums. Something missing from our list is helping clients purchase Series I Bonds. And that is not out of apathy – it stems from the reality that advisors and planners cannot logistically purchase these bonds (more on that to come). And since big brokerage firms or banks cannot sell I Bonds and make a profit doing so, they have zero interest in promoting the benefits of these bonds (it is actually below zero since any money a customer invests in Series I Bonds is money that can’t be used for other high priced products). That last point means that I Bonds are among the most underappreciated savings vehicles out there. Series I Bonds protect against inflation – the foremost enemy of most bonds. Imagine that a cup of coffee costs $4 today but costs $8 in 10 years from now. Now consider what happens when you invest $100 in a traditional (nominal) bond today that makes coupon payments every six months plus returns the $100 investment in 10 years from now. The $100 returned to you in ten years buys 12.5 fewer cups of coffee. The pervasive and flawed defense of traditional bonds is that you do not lose anything if you hold to maturity and the issuer is still around to pay you back (smart people on my Twitter and LinkedIn feeds make this claim). The problem with this logic is that the $100 buys 12.5 fewer cups of coffee. That is a loss, whether called one or not. Price inflation reduces the purchasing power of future bond coupon payments and of the principal that you eventually get back when the bond matures. As a result, inflation makes nominal bonds less valuable regardless of whether they are held to maturity. Enter inflation-protected bonds. I Bonds, an attractive form of inflation-protected bonds for the unique benefits that they provide, accrue interest semi-annually with the rate of interest tied to the consumer price index (CPI)[i]. In the example above, the I Bond purchased today for $100 would make regular coupon payments and return $200 in 10 years – enough to continue buying the same 25 cups of coffee. 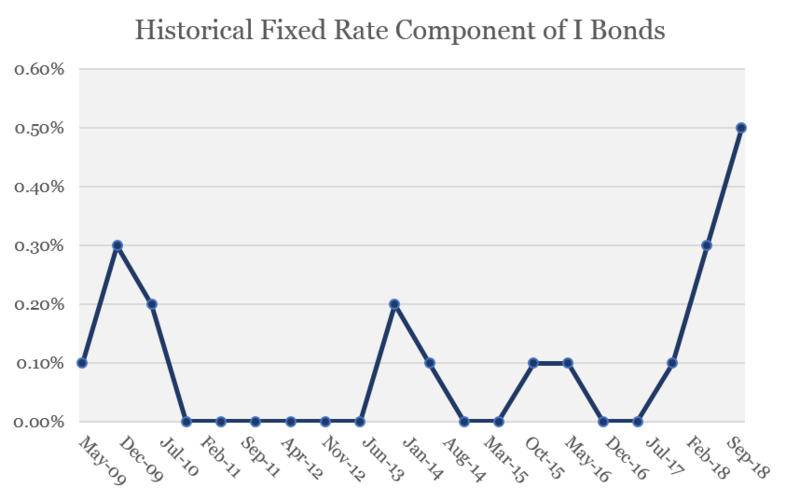 [ii] Instead of exaggerating inflation risk like most bonds, they eliminate inflation risk because the higher inflation we get, the more the I Bonds pay. Series I Bonds also protect against deflation. Now modify the example above so that today’s $4 cup of coffee costs $2 in 10 years because of price deflation. More good news: I Bonds can never decrease in value or accrue a negative interest rate. If inflation went negative from day 1 in this example, the $100 I Bond would simply return $100 in 10-years and the buyer would have doubled his/her purchasing power. Alternatively, if the first 3 years in this example experienced positive inflation and the next 7 years experienced negative inflation such that the total decline in coffee prices was the same 50% over the 10 years, the I Bond actually pays out more than $100 at maturity. Why? Because the I Bond experienced positive adjustments over the first three years from the inflation which could not be reduced once deflation set in for the final seven years. This last feature distinguishes I Bonds from the more common form of inflation hedged bonds called Treasury Inflation Protected Securities (TIPS). TIPS also have a guaranteed return of principal feature but positive adjustments can be lost (or reversed) if deflation sets in after a period of inflation. Interest on Series I bonds can be tax-deferred for as long as 30 years. Have excess cash in a savings account that pays interest and you get taxed each year as the interest is earned. Buy a bond or bond fund and you’re taxed each year as the coupon payments are made. Buy TIPS and you’re taxed every year on the accrued inflation adjustments whether you redeem or not. Contrast this with I Bonds where all inflation adjustments and accrued interest are tax-deferred until the bond matures 30 years after purchase or is redeemed. This means that I Bonds are an extremely tax-efficient savings vehicle, especially for high income earners as a buyer can defer taxation for up to 30 years. A buyer (even someone in their 30’s) who purchases I Bonds during high income years can effectively defer all taxation until retirement when his/her tax bracket is perhaps much lower – and maybe even zero. Not only does taxation get deferred – which is helpful in itself – but possibly deferred into lower tax brackets. Interest on Series I Bonds is exempt from state and local taxes. As with all government issued bonds, I Bond interest is exempt from all state and local taxes when liquidation occurs. This again provides an advantage over savings accounts, CDs, etc. for high earning taxpayers in states and municipalities with an income tax (an advantage which incrementally improved under the 2017 Tax Cuts and Jobs Act following the limit on state and local tax deductions). Federal taxation on Series I Bonds can be entirely avoided if the proceeds are used to pay for education expenses. There are seven criteria that must be met to qualify for this education tax exclusion with the most notable being an income limitation during the year that the bonds are redeemed to pay for qualified education expenses. But for taxpayers who meet these seven requirements, I Bonds provide an incredibly beneficial tax advantage with tax-deferred and tax-free growth. Series I-Bonds are purchased with zero trading costs or commissions. Admittedly, this is a positive and a negative. I Bonds must be purchased directly from the US Treasury without any transaction costs for doing so. That is also a drawback – which I’ll cover later. The fixed yield on I Bonds is at its highest level in nearly a decade. There are two components of return for an I Bond – the inflation adjustment for changes in CPI and the fixed rate, which is set at the time of purchase. For most of the past decade, the fixed rate has been zero so that I Bond investors simply earned a return equal to inflation. The current fixed rate for I Bonds purchased between November 2018 and May 2019 is now 0.5% – the highest level since 2008. With this 0.5% fixed rate added to the most recent inflation rate of 2.33%, newly issued I Bonds presently earn an annualized 2.83%. I Bonds must be purchased directly from the US Treasury. There are two ways to purchase I Bonds and both go through the US Treasury. They can either be purchased online with a Treasury Direct account or taxpayers who have a federal tax refund can have the refund redirected to purchase paper I Bonds. While neither of these routes require an advanced degree, neither is terribly convenient or ideal. Intentionally over-withholding on federal taxes to purchase I Bonds means locking your money up for a year or longer with no liquidity, earning zero interest, and exposed to tax ID fraud. Purchasing the bonds through Treasury Direct means adding one more account that is not connected to any other investment accounts through a single custodian. Purchases of I Bonds are limited to $15,000 per calendar year per person. Technically, the limit for purchases is $15,000 per year per but it requires more explanation. Each individual with a Social Security number can purchase up to $10,000 per calendar year electronically through a Treasury Direct account (and an account must be opened for each individual such that a husband and wife would each need to open an account to purchase at total of $20,000 between them). An additional $5,000 of paper I Bonds can be purchased by taxpayers with a federal tax refund (the lesser of the refund amount or $5,000). I Bonds cannot be redeemed within one year of purchase and apply a 3-month interest penalty if redeemed within the first five years. These limitations simply mean that buyers should not view I Bonds as an immediately available emergency reserve or for short-term spending needs. But I Bonds that are held for at least five years effectively become a savings-substitute at that time as there are no penalties for redeeming. I Bonds are not more underrated than the Chick-fil-A mobile app, clothes coming straight from the dryer, or random text messages from old friends. They are, however, an underrated and underappreciated investment option. They provide several advantages over Treasury Inflation Protected Securities (TIPS), better inflation protection and tax efficiency than nominal bonds, and higher yields than cash. I bonds are certainly not appropriate to comprise an immediately-available emergency reserve but they can be a good place to store additional cash, to complement a bond portfolio, or even as a place for parents who might qualify for the education tax exemption to store some college savings. Have questions, comments, or thoughts? Want to better understand how these bonds work or how they can be used? Please do not hesitate to leave a comment or question below. [i] Technically, I Bonds use the CPI-U with is the Urban Consumer Price Index and designed to represent inflation for the 88% of US consumers who live in urban areas. [ii] Makes the simplifying assumption that coffee inflation is the same as general price inflation as defined by CPI-U.